Alfa Transformer stocks remanufactured and reconditioned, three-phase, medium voltage dry type transformers through 2500 KVA. Standard and custom designs through 10 MVA, up to 35kV. 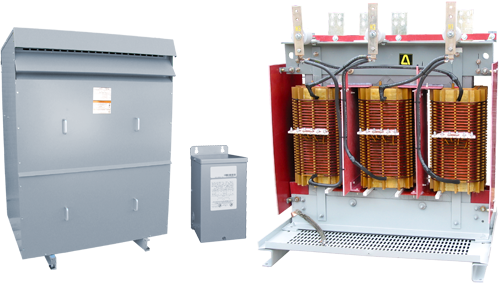 Alfa offers a complete range of new and reconditioned low voltage dry type transformers including general purpose, drive isolation, motor-starting autotransformers, buck-boost and more. Most stock transformers can ship within a few hours. Alfa also offers non-standard designs with short lead times available.